The Sungai Dusun Wildlife Conservation Centre in northern Selangor is home to a number of Malayan Tapirs and some gharial crocodiles. 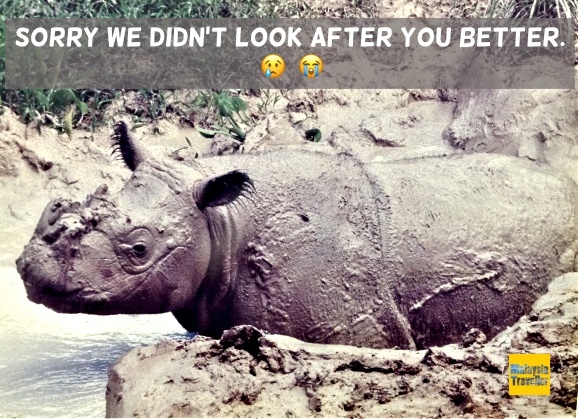 The Conservation Centre was first established in 1964 with a 4500 hectare area for the protection and conservation of Sumatran rhinos, a few of which roamed wild in Peninsular Malaysia until displaced by encroaching plantation activity or killed by poachers. There were at one time 7 Sumatran Rhinoceroses here, 5 female and 2 male, but sadly the captive breeding project was not a success and in 2003 all six remaining rhinos died within weeks of each other. The Sumatran rhino of Peninsular Malaysia is now extinct in the wild and may also be extinct in Sabah too. 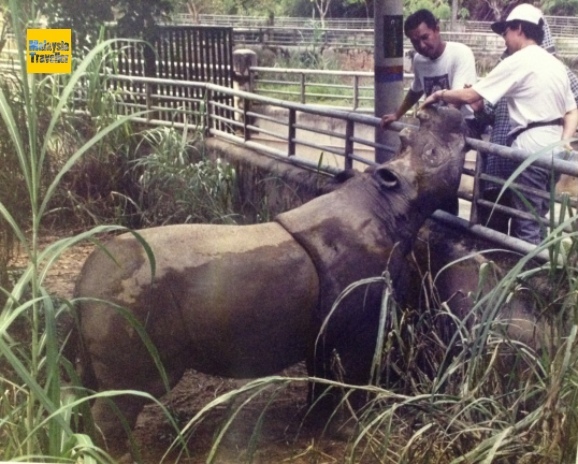 These photos of the now deceased rhinos at Sungai Dusun are on display at the Sultan Alam Shah State Museum in Shah Alam. 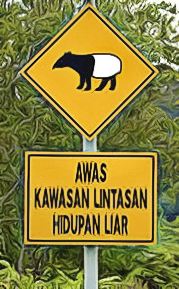 Now the Centre is home to the Malay Tapir Conservation Centre and let’s hope they have more luck in saving these lovely creatures which are also an endangered species due to habitat loss, road-kills and hunting. 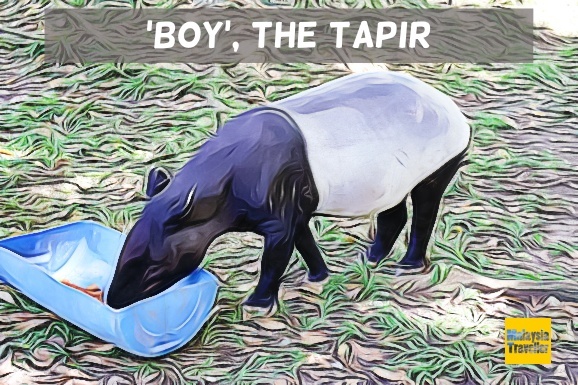 There are a dozen or so tapirs living here but during my visit they were enjoying a siesta so I only saw one, called 'Boy', who was chomping on a bowl of sweet potatoes. He looked well looked after, in fine condition with smooth grey fur on his chubby tummy. Apart from tapirs there are also some gharial crocodiles here. The Conservation Centre is not currently open for walk-in visits from members of the public. If you want to visit you first have to obtain a permit from the Department of Wildlife and National Parks. They will guide you on the best time to visit. There are no admission charges. It is located close to the small village of FELDA Soeharto or Kampung Soeharto which was named in honour of the former Indonesian President who officiated at a ceremony here in 1977. 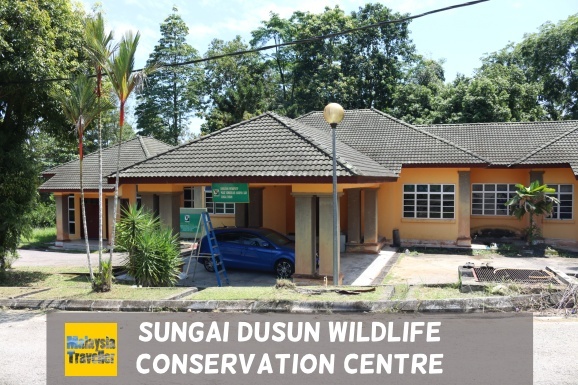 The Conservation Centre is bordered by the Sungai Dusun river on the north and by the Terusan Besar canal on the west.